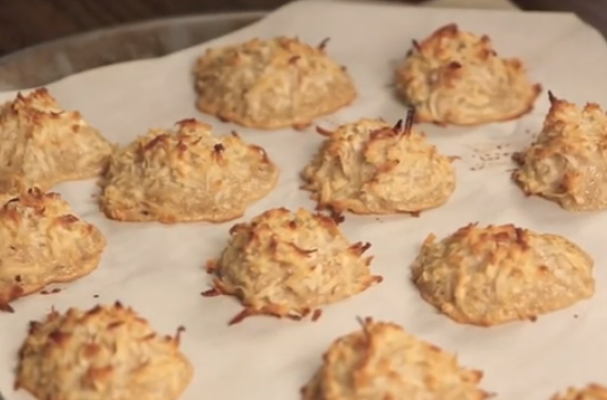 Vegan coconut macaroons are an easy dessert to make compared to their French cousins. Unsweetened coconut flakes are combined with vanilla extract, cinnamon, coconut milk, agave nectar and more to create a subtly sweet cookie packed with coconut flavor. If you want to take this treat one step further, you can always dip them into dark chocolate. These cookies are soft pillows of coconuty goodness - it will be difficult to stop eating at just one.